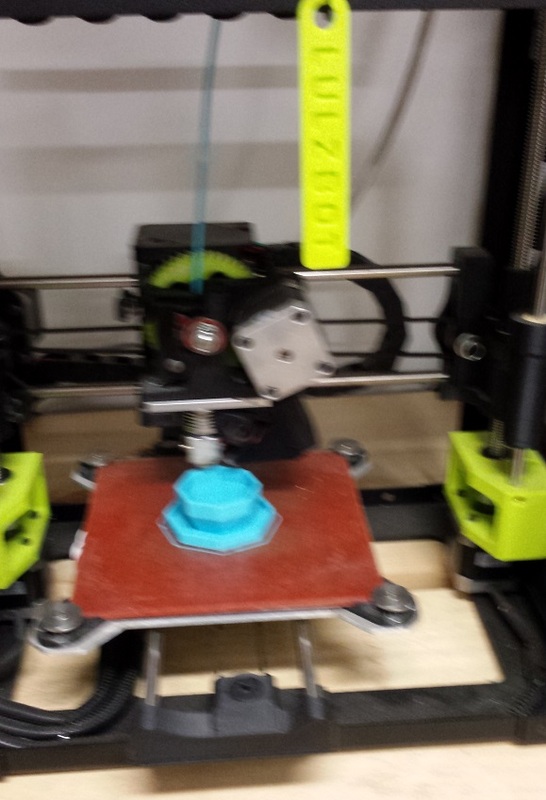 Over the past few weeks I have been experimenting with 3D printing at the Ocean State Maker Mill ( OSMM ). My first step was to take one of the OSMM 3D printing classes. 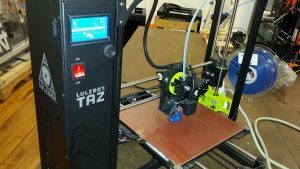 The instructor, Matt Stultz, 3D printing expert, author, and enthusiast, shared his experience and insights during this excellent overview of 3D printing. What follows are my musings based on Matt’s class. All errors: grammatical, factual, and social, are mine, not Matt’s. The class provided a survey of the current state of additive manufacturing, also known as 3D printing, or FDM (Fused Deposition Modeling), or FFF (Fused Filament Fabrication). FDM and FFF refer to the same thing. The two terms developed for legal, copyright, trademark, etc. reasons. Guess what, there is a Wikipedia page that explains all this stuff: acronyms, concepts, principles, etc. So I don’t have to! 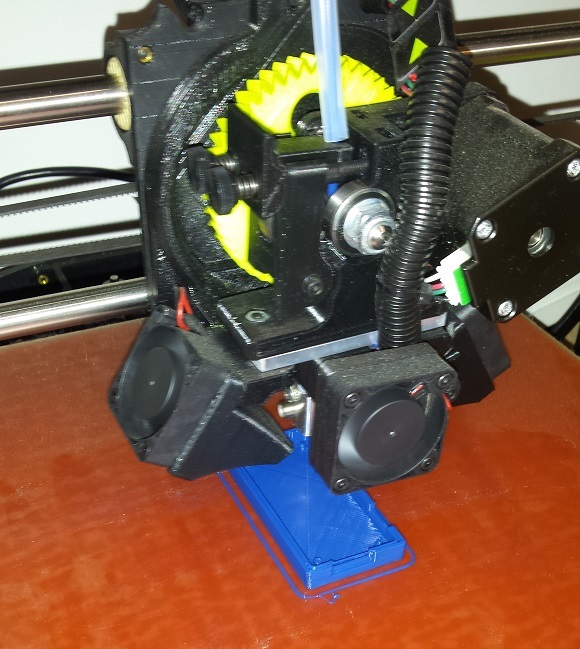 The most common 3D printers use various types of plastic to fabricate objects. The most common plastic is PLA. A bio-plastic made from starch, corn starch in the USA. Really, chemistry is so cool, plastic from corn. Simplify3d has a nice overview of 3D printing materials here. You don’t have to have a 3D printer to take advantage of additive manufacturing, and you don’t have to be limited to plastics. Fabrication services like: Shapeways, Sculpteo, and other services, will take your design files and fabricate your design and ship you the results. There are other 3D printing technologies available besides FFF/FDM. Most are outside the realm of what hobbyists can afford. However, they do offer an amazing range of capabilities and materials. You can find an overview of more advanced additive manufacturing technologies here. Once the landscape of 3D printing was covered we moved on to the details of how you actually create an object. The process involves several steps: design using CAD, CAM using a “slicer”, and finally the 3D printer and controller. Your design has to take into account the limitations of 3D printing. One key limitation is “overhangs”. You can’t print on nothing! 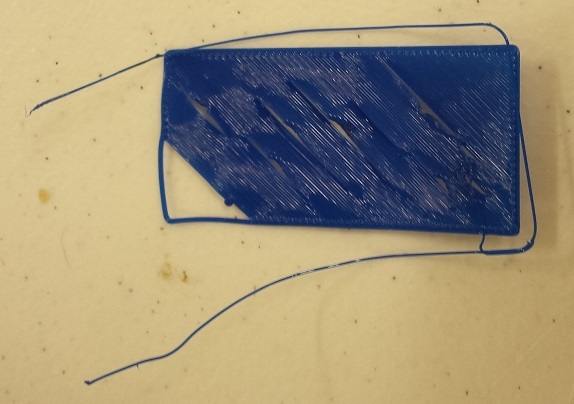 It is possible to generate support structures that can be removed after printing. If your design has features that are not directly supported you need to plan on how to deal with the issue. Sometimes you can change the orientation of design. For example, printing a mushroom upside down. Other times you will need to add support structures to the design. Sometimes the CAD/CAM software can generate supports for you. A detailed explanation is available here. You can also use existing designs for free or a small fee. There are thousands of designs available. If you can imagine it, the chances are someone else has too. Now that you have a design file (.stl) you need to translate it into instructions (gcode) for the specific printer you will be using. Most 3D printers come with a “slicer” package based on the CURA open source slicer that has been adapted by the manufacturer for it’s printers. CURA will allow you to modify the design, tune the print settings, and format the data for the printer. For the class we used Lulzbot Cura to explore the features and settings available. So, Why bother with 3D printing? And could save you money, really, a study was done that estimated between $300 and $2000 a year in savings. The article is here, the study here. So, what can you make with a 3D printer? Just about anything. Personally, I am interested in designing custom cases for my art and electronics projects. For my first attempts I chose simple, small, designs that had already been printed successfully. I download files from Thingiverse for a Raspberry Pi Zero case and a miniature flower pot. My first attempt was to print a Raspberry Pi Zero case on the Lulzbot Taz printer. I found the Lulzbot Cura software easy to use and intuitive to learn. 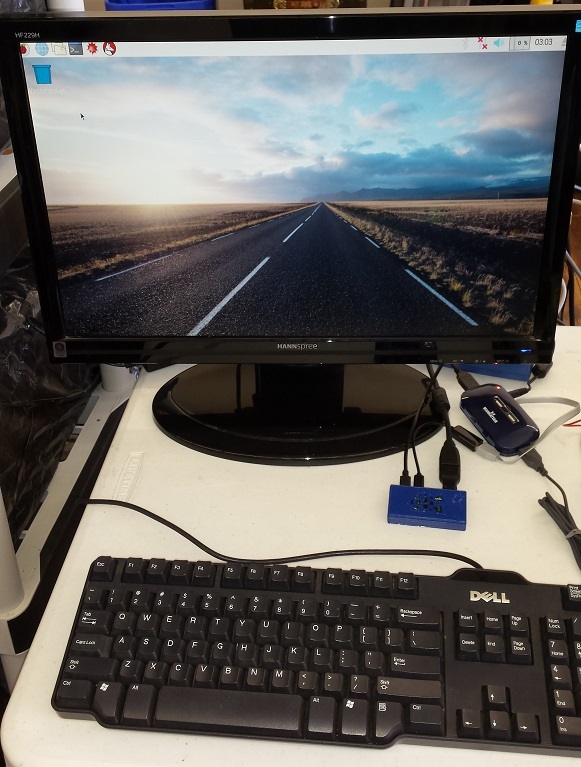 The files are transferred to the printer via SD card and selected via a front panel interface. Again, I found it easy to use and understand. Matt came to the rescue and demonstrated how a bit of Elmer’s washable stick glue applied to the bed can solve the adhesion problem. The second point, 3d printing can be a slow process. There is a trade-off between quality and speed. I selected the fastest, lowest quality setting, the small 1.5″ x 3″ x .5″ box took about an hour. 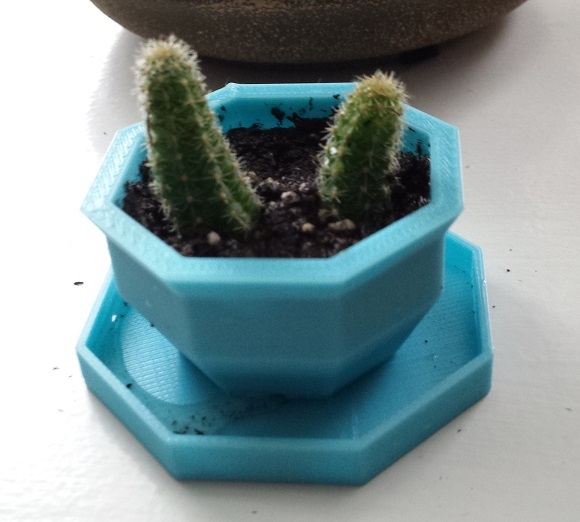 My second project, a small flower pot, printed on the Lulzbot Mini with an Octoprint interface running on a Raspberry Pi. 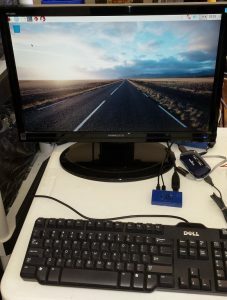 The only challenge was getting my Windows laptop to see the Raspberry Pi. It turned out I needed to install “bonjour print services for windows” as described in the FAQ. Once I connected to the Octoprint interface I found it easy and intuitive to use. Oh, another tip, make sure you are targeting the right printer in CURA. I forgot to change the printer from Taz to Mini, no harm done, but my print would have failed if I hadn’t noticed the printer acting “funny” when attempting to calibrate and start the print. Which brings me to another tip from the class, always make sure you watch the first layer being printed so you can detect problems early.